Not anymore. They were supposed to, and that was the deal when they first moved the team to Cancun, but the response to the team wasn't as good as they thought after the championship and they said they weren't going to do it. 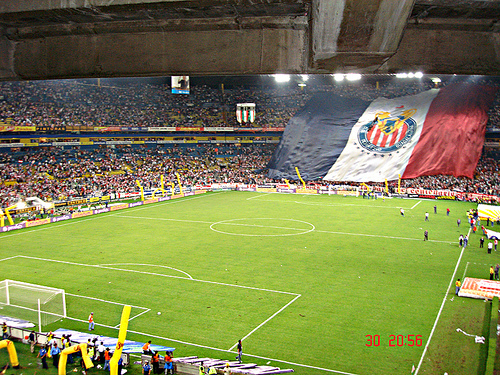 Their being tight about it (Codo) did I spell it right, like some of you guys up one here, what about the Tijauna stadium? I heard the stadium they currently use is full pretty much every match, is that wrong? I don't know, but I don't doubt it, but then again, it's the goverment who would build the stadium, so I guess they are looking for a way out. It's going to be a race to the finish line between Chiva stadium and Santos' new pad. Crap, it's looking exactly like the damn tijuana and san luis stadiums. Very plain and boring. I hope it's just the fact that it's only at 40% done and proven wrong at the end. Is she Jorge Vergara's wife? I like to see her sit in during one of the Consejo de Duenos meetings. She looks like she can hold her own and then some. Its a two phase stadium. First phase is at 40%... when ts done the team moves in... and they start the second phase after..
ZAPOPAN, JALISCO.- El alcalde de Zapopan, Juan Sánchez Aldana, declaró que se permitirá la apertura del Estadio Chivas en junio, como planean los desarrolladores, si la construcción del paso a desnivel para su ingreso presenta para esa fecha un “avance significativo”. Last year when they talked about a November inauguration, I was very skeptical. Whether they were on schedule or not, it made no sense to inaugurate in November when they probably couldn't get decent teams to come. For this June/July inauguration (I'm pretty sure I heard end of July at some point), if I were Vergara I'd do my best to get it done in time, because you could at least in name get strong teams to come, even if in preseason form. I'm still somewhat skeptical that it'll be entirely ready for business. I was on site Christmas week. From what I saw, the stadium construction can surely be finished*, but that still leaves all the interior arrangements (luxury suites, food stands, stores) and the parking lot/roads. The main road in was too narrow and clearly not ready for regular access (I only expected it to be in "construction phase" shape, but did expect it to be less steep and wider), and there was no sign of a desnivel anywhere. I don't think they have even started on the other two entrances. *- They had 3 shifts going, the lower structure was in place, as well as support beams for the upper section, and they were assembling the stands on the side. Any updates on Complejo YVASA | Arena Indios? 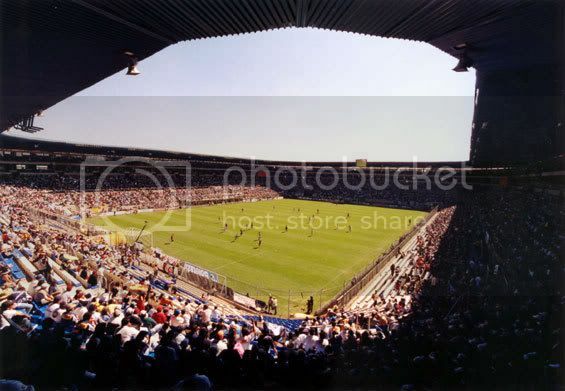 I did not realize how clean the outside of Puebla's stadium looked. 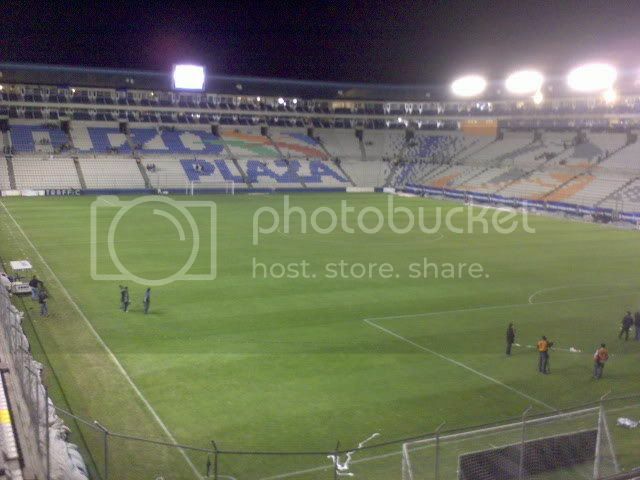 Everytime I see Pueblas stadium on TV, I get the impression that it looks like an unfinished stadium. Yes, I found an update, but it's bad news. "Concerns over narco-danger and the slumping economy have delayed plans for a 37,000-seat stadium. It has become more difficult to attract corporate sponsors and to sign players." Thank you Narcos for keeping our nation down. F*ck cocaine and all it's users. Football Lover NYC repped this.